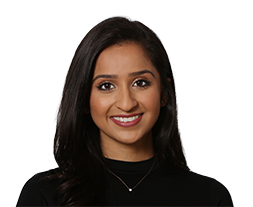 Jasmine worked in Politics for some time before working at a South Asian broadcasting company anchoring and reporting the news. She attended Ad Week and it piqued her interest in the creative and growing nature of the advertising industry so she decided to make the leap. Jasmine is an avid sports fan who enjoys discovering new fitness classes, loves to explore new pizza joints and enjoys travel and culture.